In 4 1/2- to 6-quart slow-cooker pot, stir onion, ketchup, vinegar, brown sugar, tomato paste, paprika, Worcestershire, mustard, salt, and pepper until combined. Add pork to sauce mixture and turn to coat well with sauce. Cover slow cooker with lid and cook pork mixture on low setting as manufacturer directs, 8 to 10 hours or until pork is very tender. With tongs, transfer pork to large bowl. Turn setting on slow cooker to high; cover and heat sauce to boiling to thicken and reduce slightly. While sauce boils, with 2 forks, pull pork into shreds. 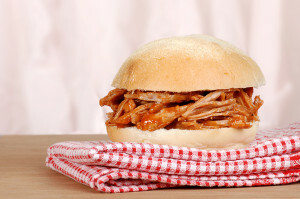 Return shredded pork to slow cooker and toss with sauce to combine. Cover slow cooker and heat through on high setting if necessary. 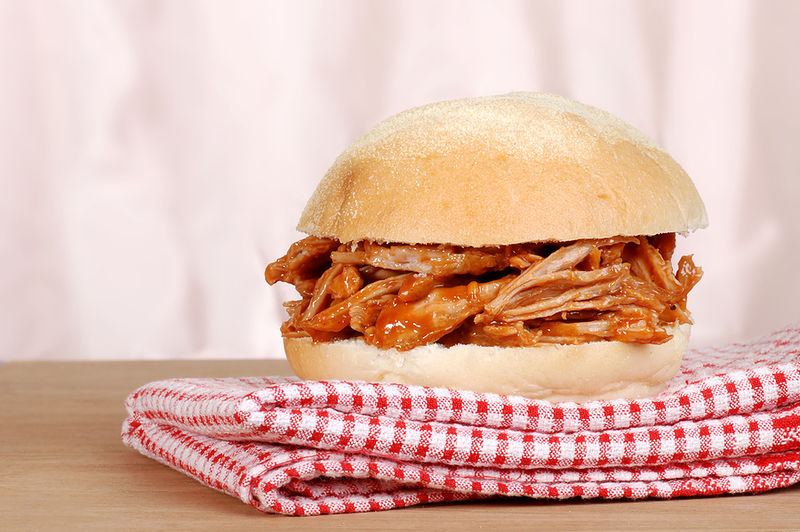 Spoon pork mixture onto bottom of sandwich buns; replace tops of buns.